Order now for shipment as early as Tuesday, May 7. 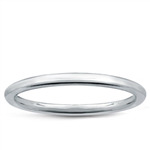 This ring is hand-made in our Los Angeles manufacturing facility and currently estimated to ship on Tuesday, May 7. Should you need this item before the estimated ship date, please contact our customer support staff at 1-877-627-5094 1-877-627-5094. 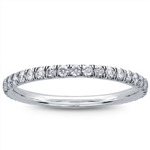 This engagement ring is French-pave set with 0.55cttw of brilliant cut round diamonds. 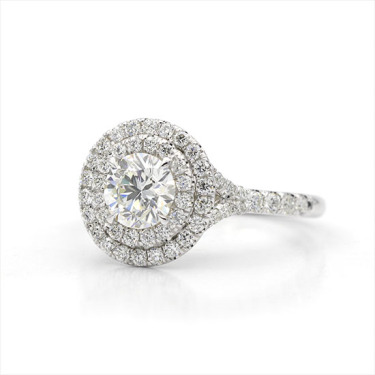 Each setting is custom built to accommodate your diamond perfectly. 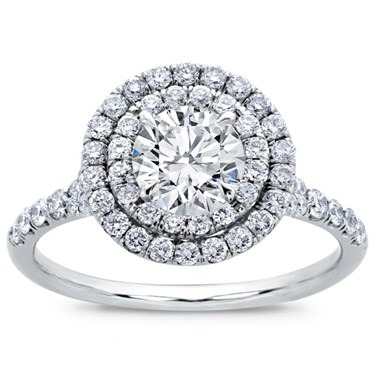 Quantity and total weight of diamonds may vary upon your center stone choice. Available in all metals and two-tone combinations. *A non - refundable prong / fitting fee will be applied to the price of a setting that is purchased without a center diamond. 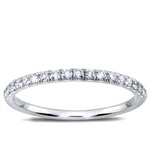 The amount of the fee is dependant upon the measurements and carat weight of the center stone, as well as the metal type of the ring.This fee is waived when a setting is purchased with a center diamond from Adiamor. Call 1-877-627-5094 for additional shapes and sizes. A unit of weight for a diamond, equivalent to 200 milligrams, or 0.2 gram. A grade given to a diamond to describe how many inclusions are within the diamond. The clarity scale ranges from FL (flawless), meaning a diamond has no internal or external flaws, to I3 (severely included), meaning a diamond has many flaws clearly visible to the naked eye. A grade given to a diamond to describe the color tones of the stone. The color scale ranges from D, meaning completely colorless, to Z, fancy yellow. As the scale moves from D to Z, it indicates increasing levels of yellow and brown tone.